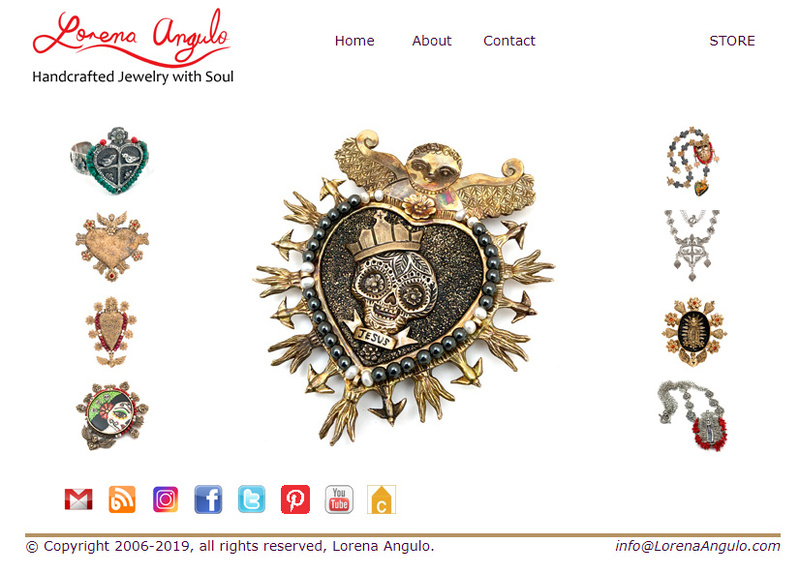 Lorena Angulo: What is in your work table or bench ? I have to admit my studio right now is a little messy, well to be honest VERY MESSY, but it is because I have been busy making new jewelry pieces. My latest pieces are some earrings and a ring, they are all ready to go to the kiln !! 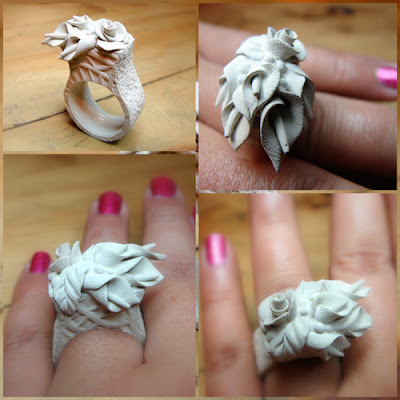 Just finished this ring made with PMC3. I love to hand sculpt my work a lot and Calla Lilies are one of my favorites flowers to make. 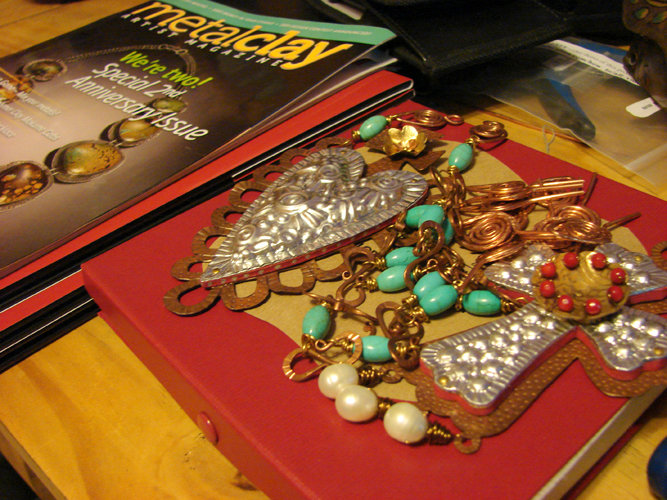 These two neck pieces are waiting for me to finish constructing their chains made with copper wire. 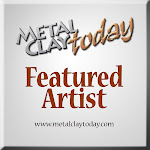 I always have something good to read on hand and this time is the great Metal Clay Artist Magazine's latest issue. 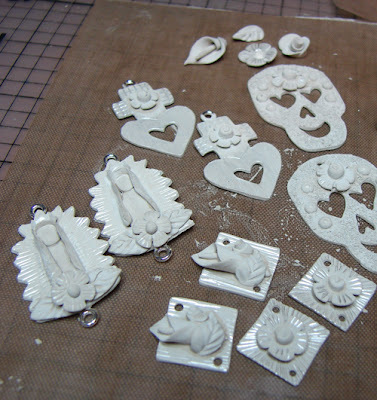 Some earrings I made with PMC3 are all ready to go to the kiln. The earrings with the heart design are going to be stamp after fired with some of my new tools ;o) . What is in your bench or work table ? I love the collection of "in the works" objects. You can see just how amazing they will all end up. I will post a picture of my finished pieces tomorrow!! !